The Marquette Golden Eagles (11-11, 6-5 BIG EAST) sent a message to the rest of the conference this weekend by scoring two huge home victories. 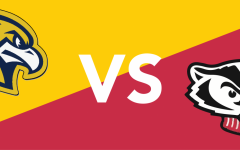 Marquette outlasted St. John’s (16-6, 7-4 BIG EAST) Friday, then upended No. 25 Seton Hall (17-5, 7-4 BIG EAST) Sunday. The two victories stretched the Golden Eagles’ winning streak to five games, which is their longest since 2010. It would have seemed laughable just weeks ago to imagine Marquette going toe-to-toe with the top teams in the conference. However, that is exactly what happened from the weekend’s opening tip against St. John’s. Marquette’s defense, which has been exceedingly suspect this season, held the Red Storm to only 27 points in the first half. St. John’s guards Danaejah Grant and Aaliyah Handford, who were both averaging over 15 points per contest coming in, could not muster more than 11 combined points in the first half. 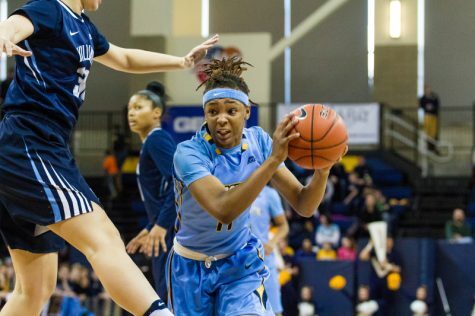 Despite the defensive lockdown, the Golden Eagles’ offense failed to get off the ground in the first half without the help of their leading scorer, freshman guard Allazia Blockton. She got into foul trouble early and had just five points on 2-of-5 shooting, which was a key reason why Marquette’s lead was only 29-27 going into the half. Still, Kieger said she was not worried. 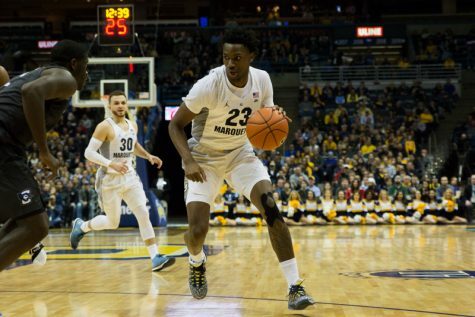 In the end, a Marquette victory was exactly what went on the schedule. 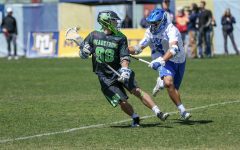 The two teams battled back and forth for much of the second half, and the lead changed hands six times. The Red Storm seemed to have seized the initiative after a top-of-the-key jumper from junior forward Jade Walker put them up 64-63 with under a minute to go. Not long after, Marquette freshman Natisha Hiedeman banked in a layup to recapture the lead with 38 seconds left. The Red Storm had a chance to go for the win on their final possession and called Handford’s number. 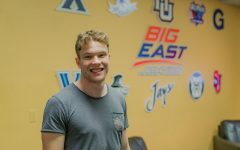 The BIG EAST Preseason Player of the Year pivoted into the lane from the left wing and lofted a layup attempt between two Marquette defenders. It looked good initially, but the iron was unkind and the ball rolled off the rim. 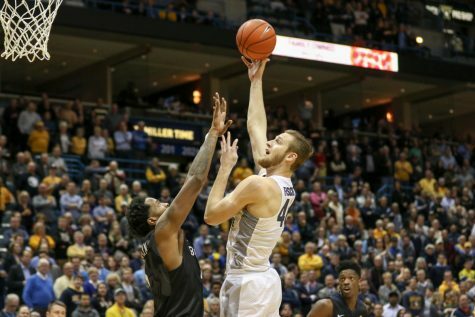 Blockton once again led all Marquette scorers with 15 points on 4-of-9 shooting. Freshman forward Erika Davenport put forth a sterling effort as well, logging 14 points on 6-of-10 shooting with seven rebounds. “I give credit to the guards for helping me get the ball and just moving the ball around,” Davenport said. 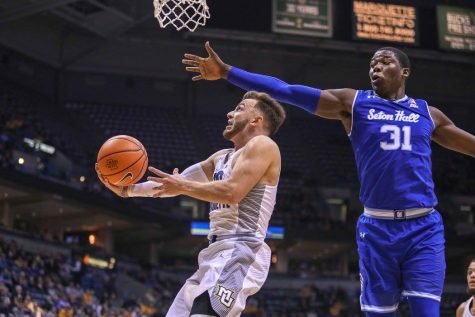 Marquette’s victory over Seton Hall was not nearly as dramatic as its first win on the weekend, but it was no less important. Kieger’s team clearly bested the No. 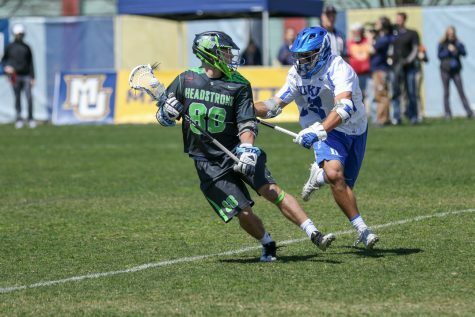 25 team in the country, never relinquishing the lead from the middle of the second quarter onward. The Golden Eagles led by as many as 20 points late in the third quarter. 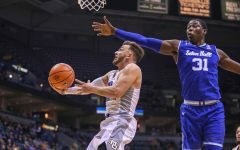 To Seton Hall’s credit, it did make a very credible comeback attempt in the beginning of the fourth quarter. 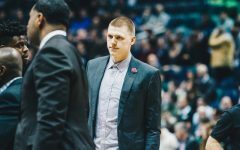 The Pirates’ suffocating full-court press ran Marquette ragged, and the Golden Eagles soon found themselves on the wrong end of an 11-1 run. Marquette’s lead was only 71-66 with over seven minutes of game-time left. 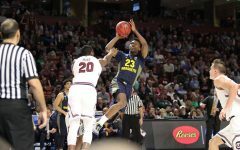 Just when it looked like the Pirates were back in the game, an iron lid was apparently welded over Marquette’s basket. Seton Hall did not make a field goal for the next six-plus minutes. By the time graduate student Shakena Richardson knocked down a three-pointer with just over a minute left, the Golden Eagles’ lead had already shot back up to double digits. 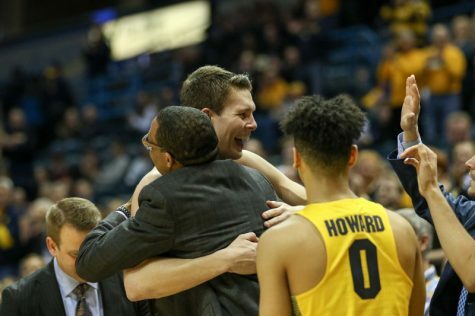 After the game, Kieger said that Marquette’s previous game against Seton Hall on Jan. 3 – a game that the Golden Eagles lost by 31 points – was a major turning point in the season. 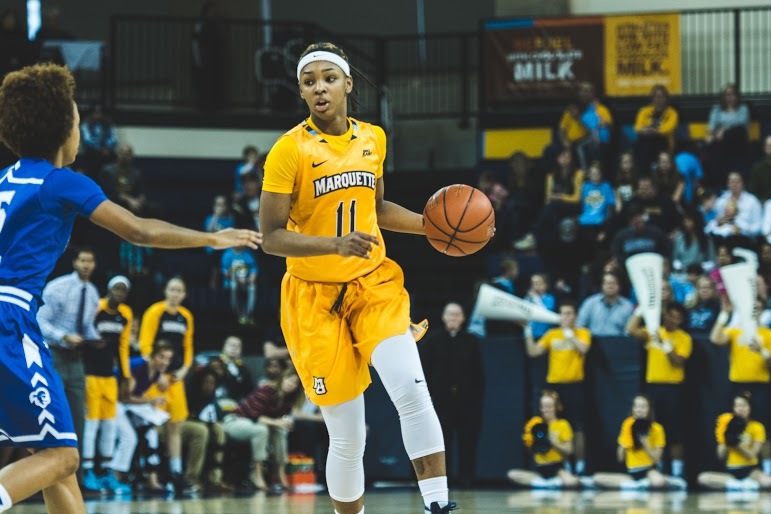 Once again, Marquette showed flashes of quality defense, badgering Seton Hall senior Tabatha Richardson-Smith every time she had the ball. 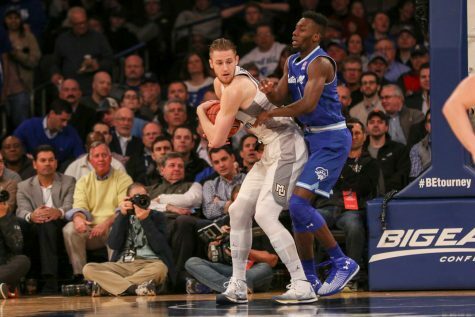 The BIG EAST’s leading scorer shot an abysmal 2-for-13 for four points in the first half. She also missed all six three-pointers she took in the game’s first 20 minutes. Even though she came back with a strong showing in the second half and finished the game with 28 points, it was too late to really affect the outcome. Blockton reprised her role as the star of the show on offense, scoring 21 points and gobbling up 10 rebounds. She also broke Angel Robinson’s single-season freshman scoring record of 399 points with a jumper in the first quarter. “I’m proud to have been put in this place to break the record and I’m coming for my coach’s assist record pretty soon,” Blockton said. 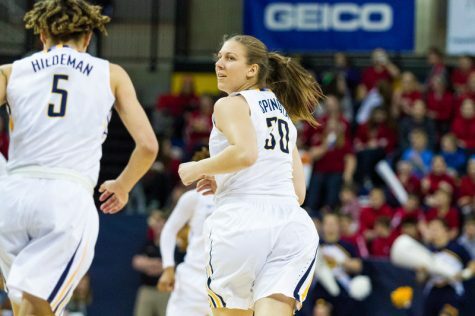 Kieger, who holds Marquette’s all-time record for career assists, chuckled off to the side. 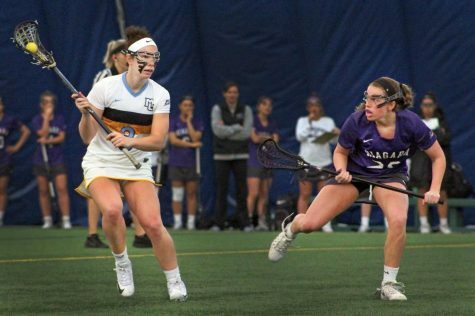 It was all smiles and laughter for the Golden Eagles after what was arguably their most impressive weekend yet in the Kieger era.